At the turn of the century, the internet became one of humanity’s greatest gifts, a source of personal freedom and power. The internet unleashed endless opportunities for communication, commerce, and information sharing. Not only did the internet decentralize news, but it offered a platform for anyone to create and speak freely. Two decades later, the internet has become a contentious place, with Tech giants, corporations, political activists, and governments all clamoring to control the flow of information, to stifle free speech, and to use personal data to exploit consumer’s purchasing habits and voting preferences. “Hate speech” policies are now used to censor “dangerous” ideas – ideas that certain people just don’t agree with. Information that criticizes the Democrat party is now deemed “disinfo” from Russia, and can be censored out of social media using filters and algorithms. The Russia collusion hoax has led Twitter to shadow ban conservative ideas, as they claim to “protect American democracy” from foreign interference. In Great Britain, online speech is about to become extremely more regulated. It’s like history is repeating itself. The British government hopes to appoint an internet safety czar to “monitor” Facebook, Twitter, and Google to ensure “public safety.” The motivation behind the plan is to “ensure public safety,” not to protect the right of the citizens to speak freely. Soon, you won’t be able to express yourself or voice concerns if someone in authority deems that your speech is abusive, insulting, distressing, indecent, racist, seditious, obscene, defamatory, incites religious hatred, may cause a breach of the peace, or is scandalous to a court. Who decides what violent content is? Are historical depictions of war to be erased from the internet? What about medical experimentation of prisoners and children? What about gruesome abortion procedures and testimonies about medical error and vaccine damage? Who decides what is disinformation and fake news? Does this include information that the people in charge don’t agree with or aren’t educated about? By banning “fake news,” the government becomes a propaganda ministry. Who decides what constitutes cyber bullying? Does this include bans on information that someone or some group might find offensive? The easily offended will be validated and any unsettling truths will be taken offline. Instead of working to ensure that freedom of speech is not trampled by Tech giants, the British government is essentially working with them to destroy dissent, to squelch historical perspective, to alienate certain political ideas, to cover up the harms of vaccines and other medical experiments. Government czars and the engineers of Big Tech are colluding to stifle free speech, not protect individual rights. 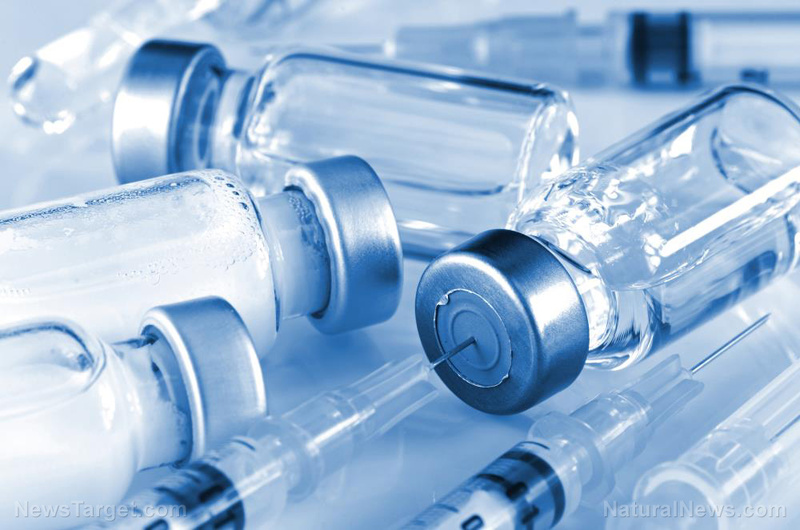 Their coordinated efforts will be abused to stop the flow of information on vaccine dangers, among other topics that cannot be discussed such as natural cancer cures. All this is being done in the name of public “safety” but so often throughout history, promises of “safety” are used to take away personal liberties. This situation will be no different.